Update 2018: Sheriva is under construction. Updates to come on their re-opening. Stepping foot into Sheriva is stepping into luxury. 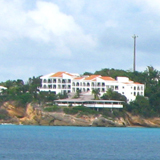 Set in the island's west end, Sheriva's concept is unique. 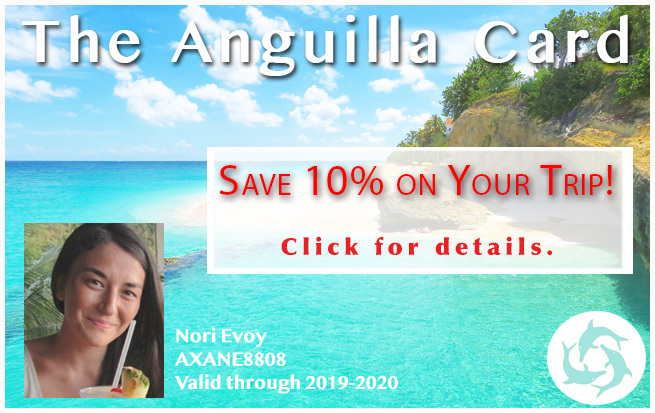 It is a "luxury Anguilla villa hotel." 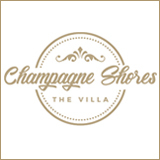 The property is made up of three ultra-luxury villas, each with plenty of privacy and each with daily service and a long list of amenities. 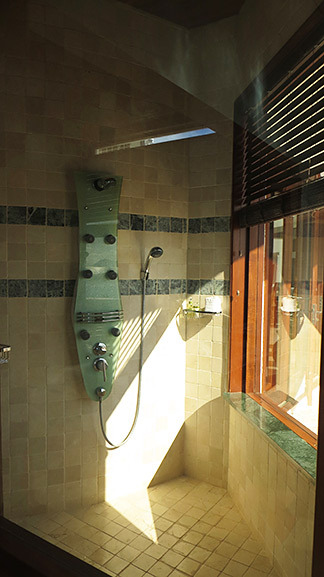 The result is a private villa-esque experience, yet with all of the services and amenities of a hotel. We recently met Jeannine, the hotel's General Manager. 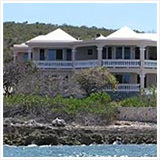 Down to earth, warm and fun, she graciously showed us this sensational property. 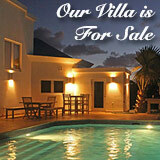 Villa Mystique, Harmony and Infinity make up Sheriva's family of villas. Visiting Harmony and Mystique were on today's list. Inside the grand white walls and through the strong, wooden door, the first thought that came to mind was now this is spacious. 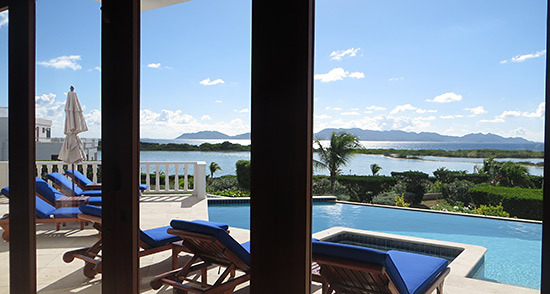 Large, bright and airy are three words that justly describe these villas. 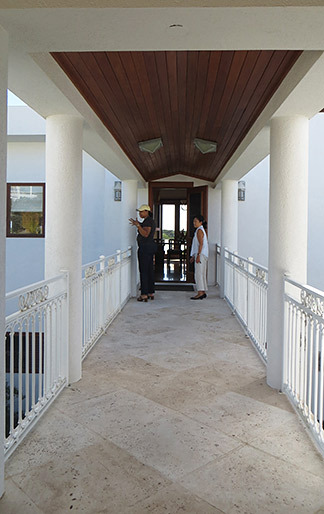 Harmony is 14,000 square feet with three floors. 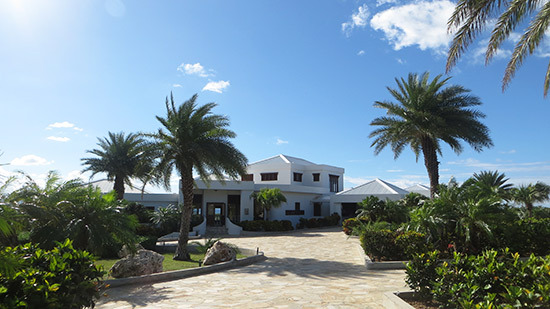 The main floor is the largest, with one pool, three bedrooms, an office, living space, a dining room and kitchen. The living area, tiered down by a few steps, is impressive. 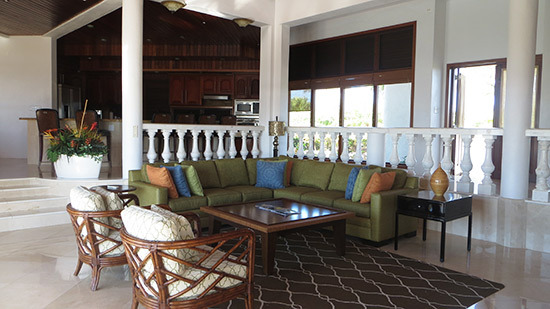 Comfortable, colorful, Caribbean-like couches offer views out to St. Martin, the sea and the stunning pool area. If you prefer to switch your gaze to the television, a flatscreen is there, too. 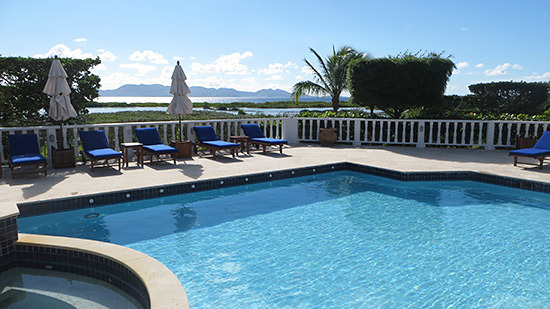 With the pool just beyond the living area, the space is optimized for indoor-outdoor living. During the day, you have the conveniences of the kitchen (just beyond the living area) and television just steps away from the pool. At night, the trades blow through, keeping you cool. Or, you can seal it all up and turn on the a/c. 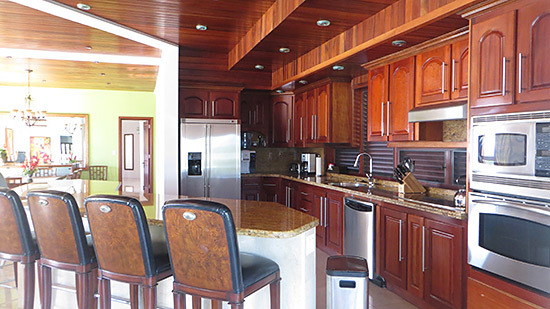 A gourmet kitchen, with all modern appliances, is located behind the living space. You can also hire a private chef to prepare meals. I particularly love the island in the center of the kitchen, complete with barstools. 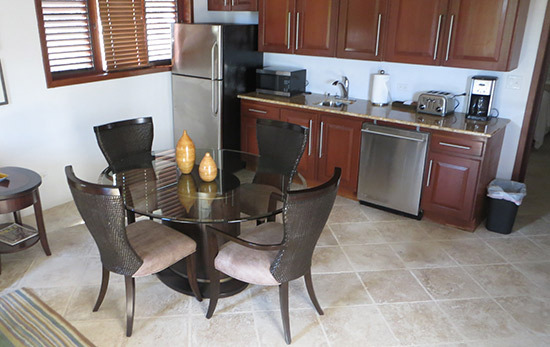 The set up is ideal for whipping up tasty appetizers and wining and dining together. 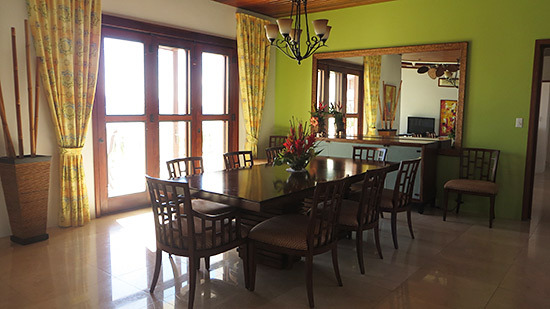 For more formal dining, the dining room is located just in front of the kitchen. 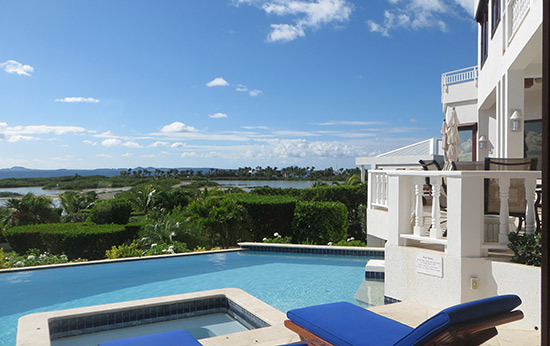 It also opens up onto the deck, complete with those stunning views of St. Martin. 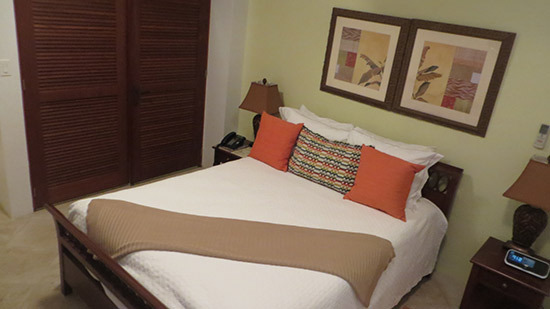 With the finest linens, views out to sea, it is indeed luxurious! Jeannine smiled as we oohed and ahhed, "the best is yet to come..."
She was right. The master bedroom has a master bathroom, a bathroom that beats any I have ever seen. From space, to amenities, to finishings, it is luxurious in every way. 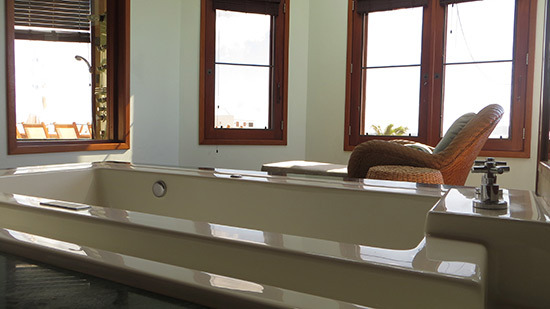 This isn't any regular bathtub either. 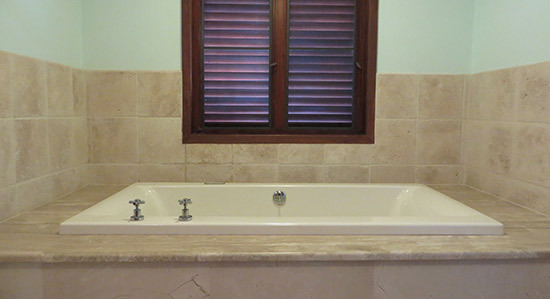 It is a negative edge tub, with marble finishings and jet streams. 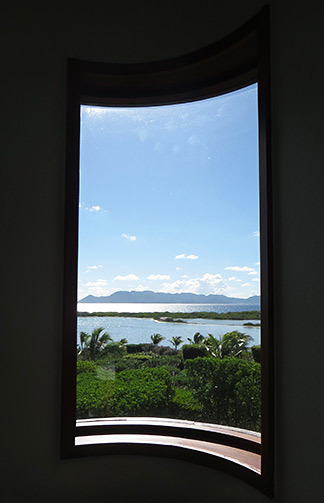 And, of course, this view only adds to that tranquil state of mind! The experience doesn't end there. Just beyond the bathroom? Closet space and dressing room, with plenty of seating. 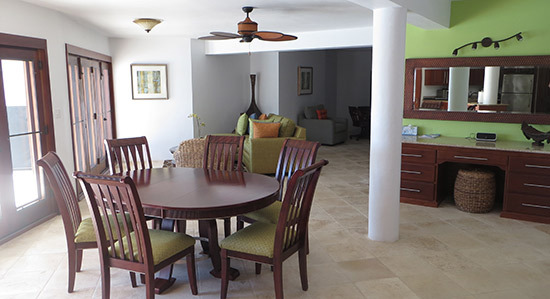 The vaulted ceilings lend an extra-spacious and Caribbean flavor to the rooms. They open onto the large outdoor deck as well. 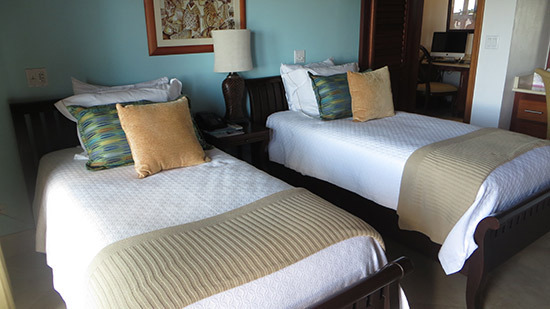 There are two additional bathrooms adjacent to the bedrooms. My heart skipped a beat when I saw this Mac in their office area also set in the villa's eastern wing! 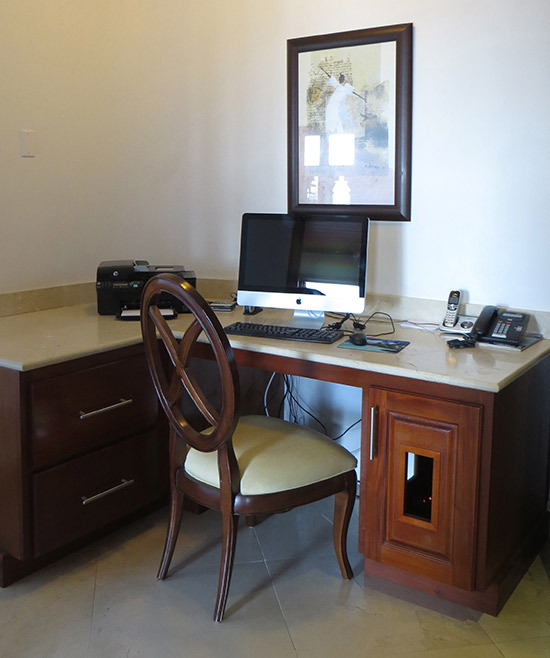 With high-speed internet, a printer and phones, you can conduct business from the comfort of your villa. Or, simply check email and print our boarding passes all in one place. 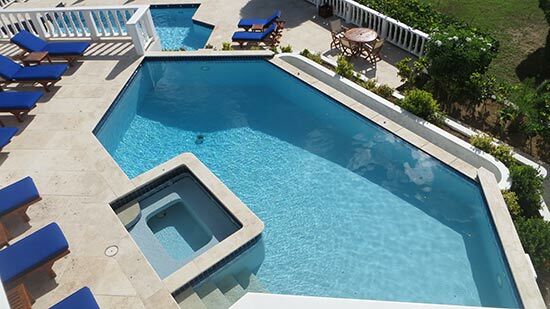 Harmony Villa & Its Pools Below! Set on the road to Maunday's Bay, the beach isn't out of reach. Just a two minute drive away, you have the advantage of close beach proximity and stunning views from up on the small hill that surrounds Maunday's. It's the best of both worlds. 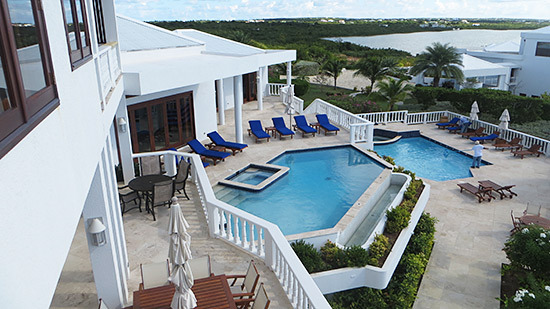 Which islands can you see from the villa's huge upstairs deck? 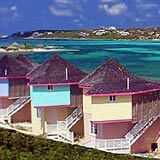 First, St. Martin. 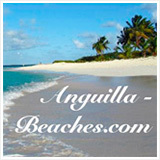 We always say that here in Anguilla, we have the better side of the deal when it comes to scenery. 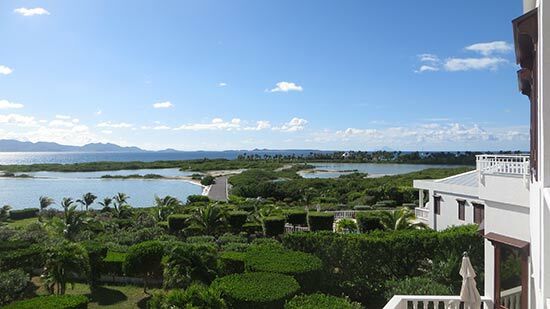 Gazing out to the majestic mountains of the French half of St. Martin inspires dreams of far-reaching, exotic travels. Second, Saba. 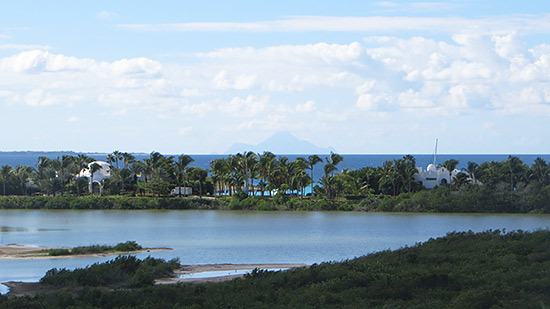 One of the perks to staying out on the west end of Anguilla is the view of Saba, an island in the middle of the sea that is pure volcanic rock. 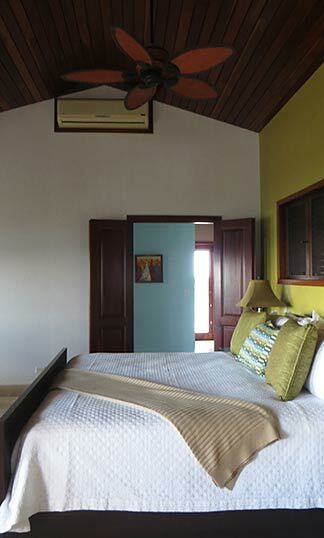 On the upper floor there is another large, junior-suite style bedroom. 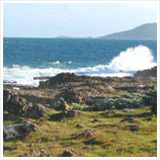 It faces the sea, with terrific views, too. In addition to having its own spacious bathroom and sitting area, there is a small kitchen too. Microwave, coffee maker, sink, counter space and a mini-fridge! 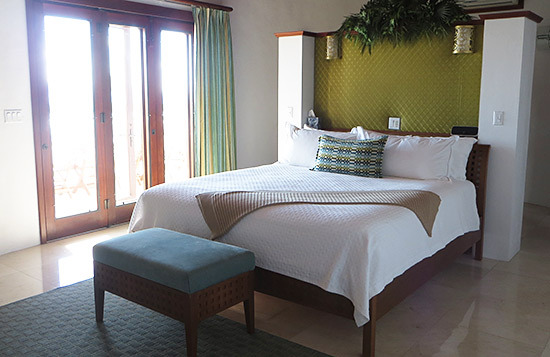 This top-floor bedroom and the master bedroom make for great escapes for parents, aunts/uncles, grandparents or couples (if traveling with multiple couples/friends). 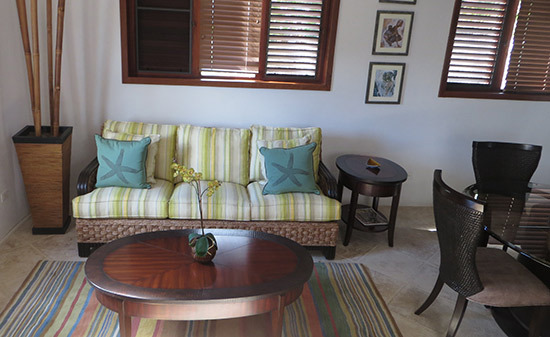 You can enjoy the being together in the main areas of the villa, and then retreat to your own, private space. 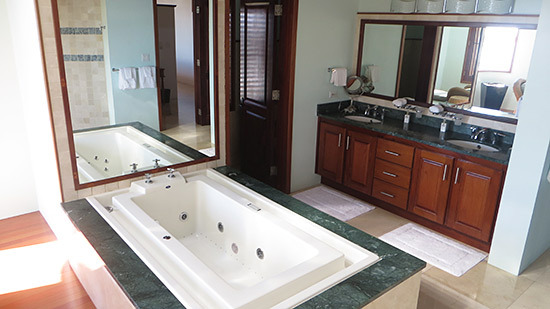 Lastly, Jeannine brought us to Harmony's bottom floor, which opens onto the main pool with a jacuzzi. As we made our way downstairs, I had to laugh. "It would be easy to get lost in a villa like this!" It really is that big. If you are traveling with kids, this will indeed be their favorite room in the house. I could picture my sister, the video game and TV addict in the family, locked in here for hours! 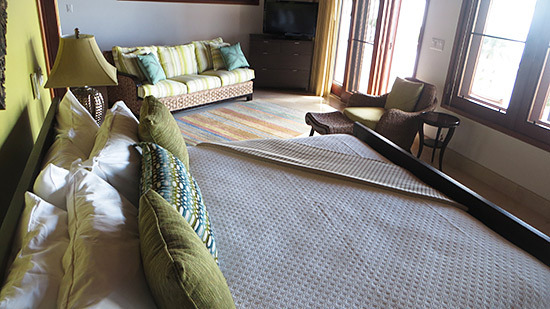 The bedrooms here are set in the back of the villa, opening onto the living/dining areas. Each bedroom has its own bathroom. The King Bedroom is located on this floor and has its own small kitchen space, living area and a luxurious bathroom with large closet space. Ultra-private and separate from the rest of the villa, this bedroom is often enjoyed by those who seek more solitude and total quiet. 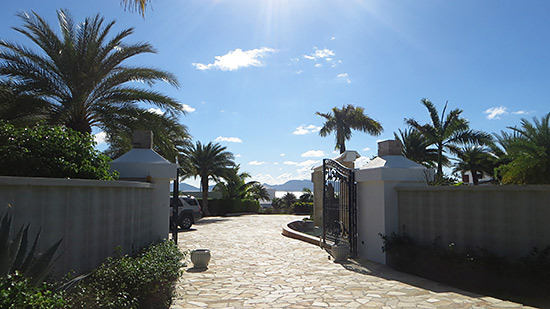 "Harmony and Infinity (another one of Sheriva's three villas) are practically identical. 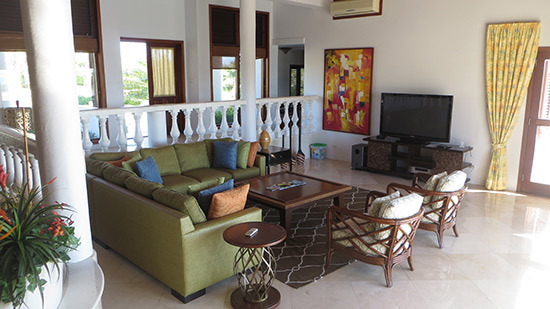 Mystique is the third in Sheriva's villas, and it boasts 21,000 square feet." "21,000 square feet?" I replied incredulously. "Yep, in fact, it's so big that it has its own junior suite! Let me show you..."
The entrance to Mystique is indeed majestic! 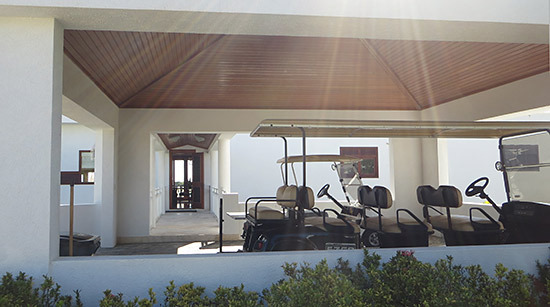 There is even a parking lot for your golf carts (which the villa provides for you to drive down to Maunday's Bay whenever you wish)! 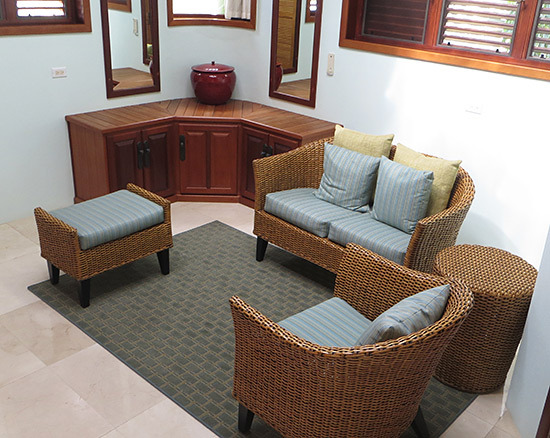 The Junior Suite inside Mystique is located on the bottom floor and completely locks off from the rest of the villa. It has its own separate entrance. 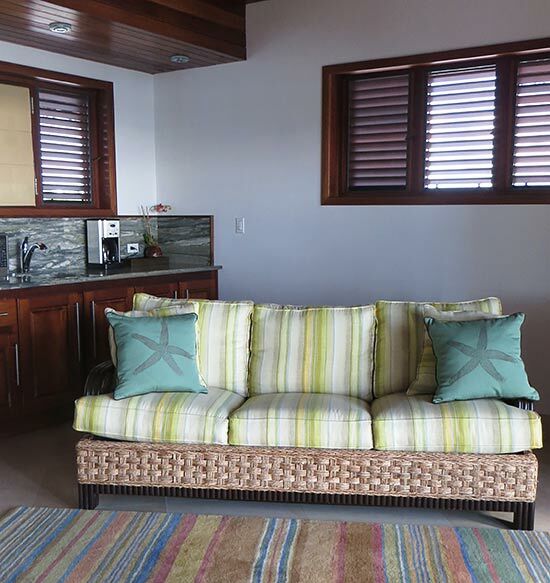 In classic Sheriva fashion, the finishings were flawless, the feel utterly spacious and Caribbean-comfortable. You have everything you need here, including the plush queen bed, a dining area, living area and access to the outdoor pool. 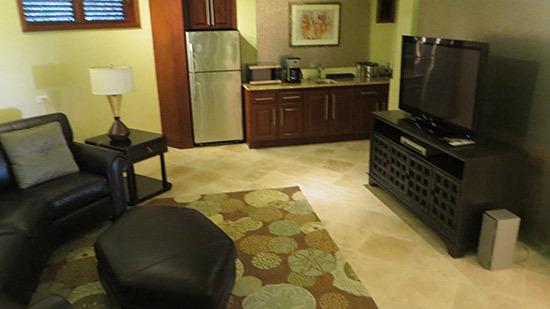 Depending on availability they will even rent it separately at a discounted rate. Just ask! 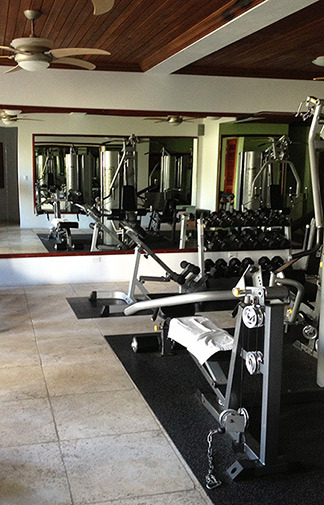 Amenities, Service and Lots of Sheriva Love! Beyond the added amenities, you can't think Sheriva without thinking quality service. 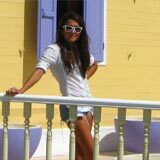 Warm, friendly, professional and around the clock, the experience Sheriva delivers is full of love and care. 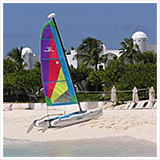 From meeting you at your point of arrival in Anguilla, to daily housekeeping, to final good-byes. It's no wonder Sheriva has a long list of repeat guests who have fallen in love with this villa hotel, their luxurious home away from home. 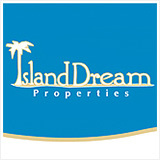 Rates start at $2,900-3,300 in the low season (4 bedrooms) and range from $4,000 to $4,500 in high season (4 bedrooms). 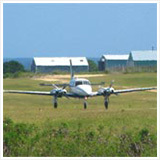 For more information visit Sheriva's website here.